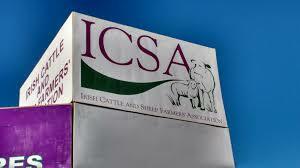 ICSA national president Patrick Kent has said the Government must be forthcoming with details of the emergency aid it intends to seek for the beef sector from the EU in the event of a no-deal Brexit. Mr Kent was addressing Minister Michael Creed and members of the ICSA National Executive at ICSA’s AGM and Annual Conference in Portlaoise on Thursday. Beef on the Brink formed the theme of the conference and Mr Kent focused on the need for clarity on the nature and scope of the emergency aid that can be expected should a no-deal Brexit come to pass. “Market panic has already impacted the price of beef and we cannot allow this uncertainty to continue. Farmers have been operating in a vacuum while factories have been taking advantage,” he said. Mr Kent called on the Minister for a “backstop for beef.” He said ICSA supports the call for emergency EU measures to take out our surplus beef via intervention or aids to private storage but the lack of clarity is causing panic around what price beef will be in 2019. Mr Kent said the days of supermarkets and processors exploiting farmers based on false costs of production must also end. 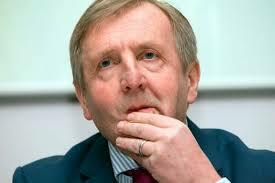 A recent assessment of the cost of production per kg of beef shows the average cost to be in the range of €5 to €5.30. “These figures bring a sense of reality to the discussion by including a rate for the farmer’s labour. “An examination of the actual costs of production per kg of beef illustrates that buying P or O grade calves when beef price is at €3.75 for R grades is completely unviable. This is why we believe that the dairy expansion must be re-evaluated and the only rational conclusion for the beef sector is that we need to reduce production. We need to do this to cut costs and to make product scarcer and we need to keep going down the road of reducing production until price cuts are reversed. “We also must do much more to help live exports. 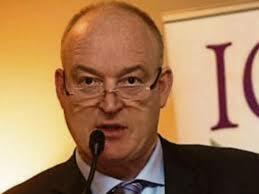 ICSA wants to see every effort made to assist live exporters. Huge state efforts have been put into supporting new markets for beef but there must be a full commitment to doing the same for live exports. We need to ensure that there is no red tape hindering the live export trade. “We also need a strategy to market suckler beef as a premium niche product, grass-fed and distinct from grain fed feedlot beef. We cannot condone the Taoiseach of the country saying he is reducing his meat consumption on health or climate change grounds. These arguments are spurious and Ireland, as one of the world’s leading exporters of beef and a significant producer of lamb cannot allow this propaganda to go unchecked. “At ICSA, we believe that CAP reform will have to reflect the fact that no livestock production system is profitable at the moment and for that reason, we need to return to the idea of extensification as a pillar of CAP payments. ICSA also supports capping payments with no loophole for employees on industrial farms because the CAP must support family farms first and foremost. “We also want to see a Pillar 2 scheme where we have an agri-environment scheme that looks a lot more like REPS and a lot less like GLAS. In short, we want Pillar 2 schemes that mean that the farmer who participates can see a real benefit over the farmer that doesn’t. He said ICSA is fully opposed to making the TB history available on mart boards and will remain committed to this position at the TB stakeholder forum. Mr Kent reiterated the association’s stance that a stronger line on rural crime is needed and that the Government get to grips with escalating insurance costs which is a real problem for all businesses including farmers and marts.